Western Opportunities Leadership Group Board. 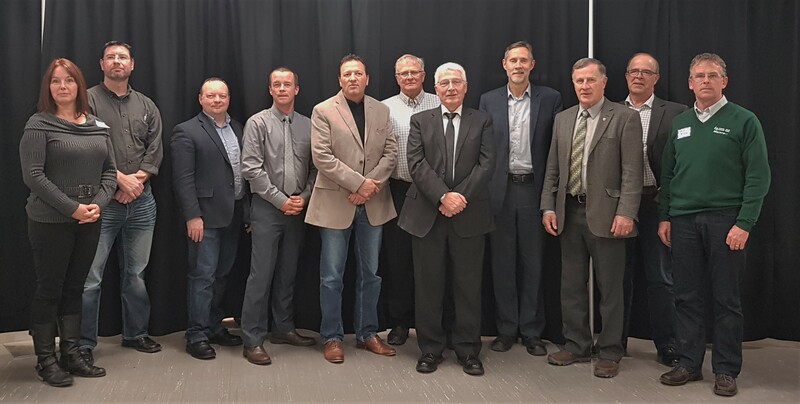 From left to right: Marilyn Crewe, James Watt, Stuart Olmstead, Dustin Williams, Craig Senchuck, Owen McAuley, Ray Redfern, Scott Lamont, Allan Preston, Barry Routledge, Dale McKay. Not pictured: Sandy Trudel and Nick Foisy.